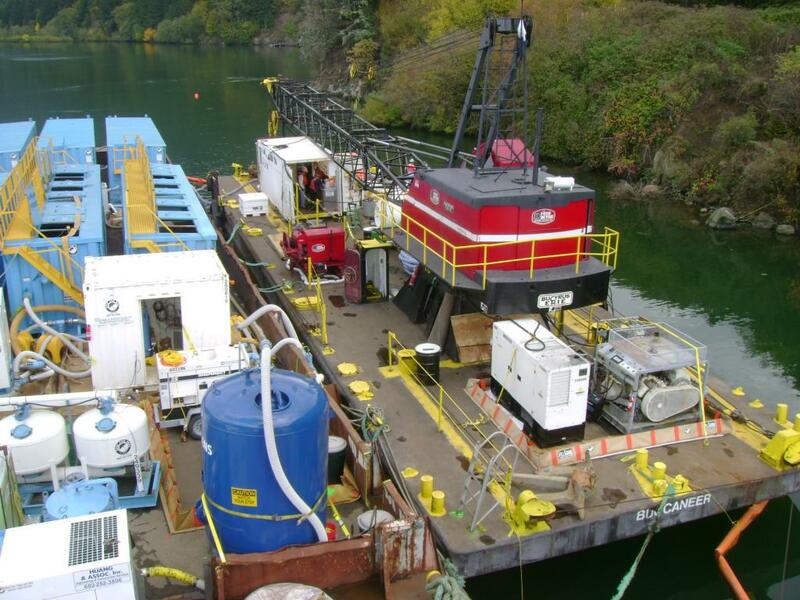 Bradford Island Contaminated Sediment Removal - Global Diving & Salvage, Inc. Global was contracted to remove contaminated sediment near an island on the Columbia River. In 2000 and 2002, the US Army Corps of Engineers (USCOE) removed discarded pieces of electrical equipment adjacent to the upstream side of Bradford Island, part of the Bonneville Dam complex. These pieces of equipment contained PCBs that had leached out and were found in the surrounding sediment. After the equipment was removed, a survey was performed to identify areas were the PCB concentration was above allowable limits. In 2007, a proposal was put out by USCOE to remove this PCB contaminated sediment. Global provided all the diving services required to perform the removal of the PCB-contaminated sediment. Three areas were identified as “hot spots,” totaling over 41,000 square feet. All three areas were dredged with a 6-inch diver-operated dredge. Dredging operations were completed in 23 days. Global also supplied the floating platforms on which the filtration system was assembled, and conducted all maneuvering and handling of the platforms. 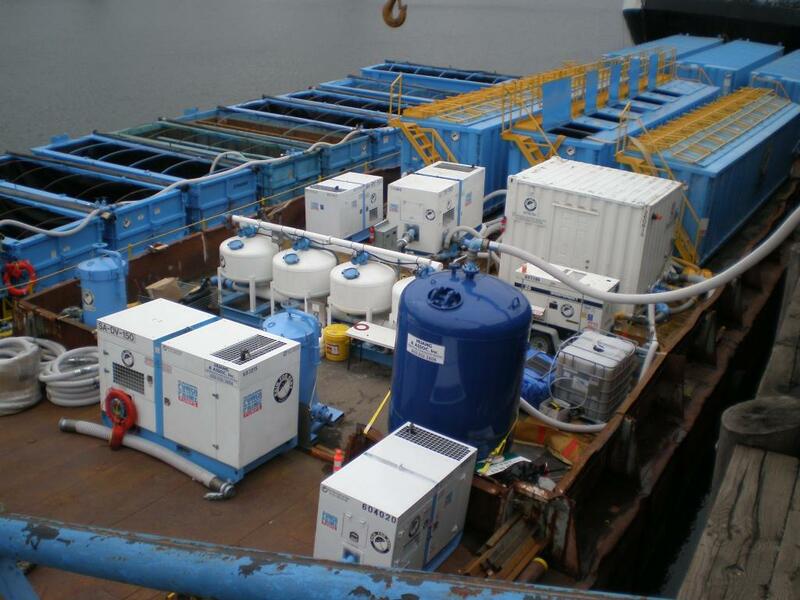 Working in sediment that contained high levels of PCBs required the implementation of contaminated-diving procedures. Divers wore vulcanized rubber dive suits with special neck seals that are integral to the dive hat, and connected boots and sealed gloves which totally isolate the diver from the surrounding water. 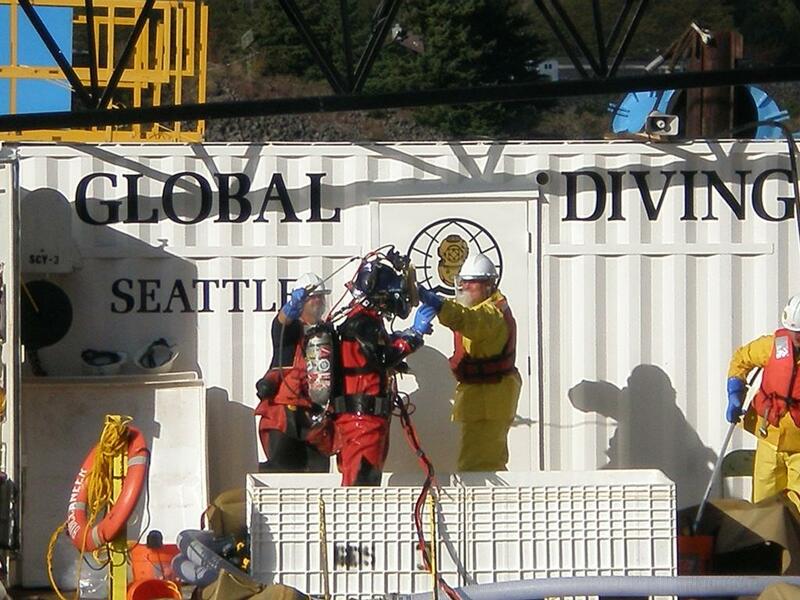 When the diver surfaced, tenders wore rain suits and face shields to protect themselves from contaminated sediment that may have attached itself to the diver’s suit.